What was your favorite Muppet time period? Discussion in 'Family Worlds' started by gavry3, Jul 19, 2016. When was your favorite time period for the Muppets? Whether it's from the 60's or 80's, what was your favorite time period for the Muppets? The early years of course! Do you just mean just The Muppets or do you also include everything else from Jim Henson like sesamestreet ? The Muppets and I also include everything else from Jim Henson as well. 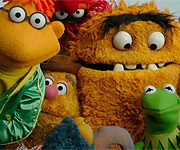 Well in my opinion the muppets were at their best arround 1976-1984 They were genius , groundbreaking and so much fun. WemblinFool18 and MikaelaMuppet like this. The 70s and 80s is what I consider to be the Muppet-iest time period in Muppet history. Back when Jim Henson was still alive & well and most of the characters were voiced by their original Muppeteers. ConsummateVs, BertsNose and gavry3 like this. Probably the 70s because of the Muppet show. 60's or 70's. The Muppets were the best then. Even though I wasn't alive it has to be the 80s where Jim Henson and the Muppets were at the height of thier powers. But I think the 90s also had its good points Treasure Island, Bear in the big blue house. ConsummateVs and Flaky Pudding like this. I think my favorite era of Muppets was between 1969 to 1990, though I have a DVD called "Muppets Magic" which is Muppet appearances on "The Ed Sullivan Show" and some of them are pre-1969. If you don't have this disc, look into it, it's a laugh riot! dwayne1115, Froggy Fool and Flaky Pudding like this. I would like to say I've seen almost all the Muppet productions, and I have to say that I love them all in one way or another. With the exception of the current Muppets thoughts of the week. I mean I understand what they are meant to do, but they could be so much better. I mean they have an opportunity to really show the zanynes and pureity in the characters, and there not. 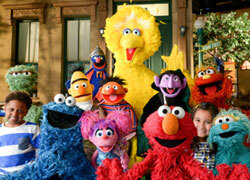 They could also use they to help establish the relationships of the Muppets. Particularly Matt's Kermit with the rest of the Muppets. Pig's Laundry, BlakeConor14 and ConsummateVs like this. Yeah, definitely a missed opportunity. Not to mention, this is something the performers could've had a lot of input in considering they're just 20 second videos. 1979- 1985 I think these are the two decades when the Muppet's were shining the brightest.